Over the years, overseas calls have drastically improved due to the technology that is used. This makes audio conferencing a more realistic option for many businesses that have dealings around the world. In fact, the clarity is improved enough to feel as though the person is in the next room instead of halfway around the world. The clear audio and reliable connections are common in international phone conferencing today. This improved quality is due to technological advances, such as fiber optic cables and faster transmission speeds to reduce sound delays and create clearer calls. MP3 technology has made a major impact on recording capabilities for audio conferencing. These compressed audio files don’t take up as much space and offer incredible clarity. 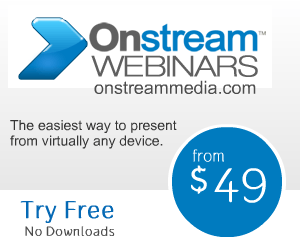 In some cases, you will be able to automatically record all your international conference calls and save them in this quality format to use for on-demand listening. You can also distribute it to those who were at the conference to provide them with a record they can listen to again to ensure they get the most out of the call. In addition to these uses, the recordings can also be transcribed or even translated to best meet your needs. You can even share it with other people who would benefit from the information or place it on your website for more public use. With the advances in technology international conference calling, it is easier than ever for anyone to access these calls. Perhaps one of the greatest improvements to audio conferencing is it no longer requires an operator to log in first to handle all the incoming calls. Instead, the attendees are given a toll-free number to call, as well as the date and time and an access code to enter. This is all the information that is needed to access the conference call. To attend, they only need to call the number, follow the prompts to enter the access code and gain an immediate connection to everyone else on the call. Another great feature for international conference calling is called “dial out.” With this type of audio conferencing, the person who starts the call is able to dial out to add people to the call. This can be a useful feature in a variety of situations, including when attendees are located in a country that doesn’t support toll-free calling or when someone fails to show up to the conference. Some systems will also allow organizers to schedule dial-outs to specific numbers at a designated time, automatically bringing people into the call at the right moment. This feature prevents forgotten calls and lower calling rates. At one time, it was incredibly expensive to make an international conference call, often $10 per minute or more. As technology improved and the increase in competition in the audio conferencing markets, international call rates have dropped dramatically. Many countries are charging $0.10 or less, with most of them with rates under $1 per minute. Today, an international conference call may even be held over the Internet, providing you with even more features. If conference calls are a common part of your routine, you can set up a schedule with recurring calls, choose participants and even input the phone numbers of the people who attend your audio conferencing calls most. With some conference calling plans, you can even make call reservations, schedule calls or set up calls on-demand. The advances in technology have had a positive impact on how people communicate today, both online and offline, particularly with international conference calling. With the improvements in transmission speeds, quality, costs, access simplicity, integrated account management and various calling features, conference calls have taken on an all new meaning. Taking advantage of these changes will ensure your business can reach a global audience, enhancing your ability to grow and succeed.